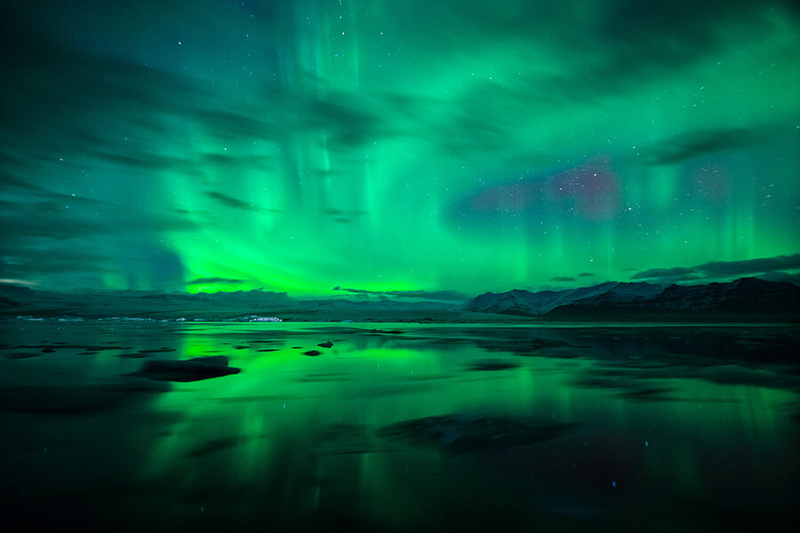 Visible for around 8 months a year, through September to April, Northern lights are a big attraction here in Iceland and most of those who visit in winter have the Northern Lights on their bucket list. And the reason is obvious – as when these stunning lights glow above you – they have the ability to stop you right then and there in your tracks, leaving a long-lasting impression. 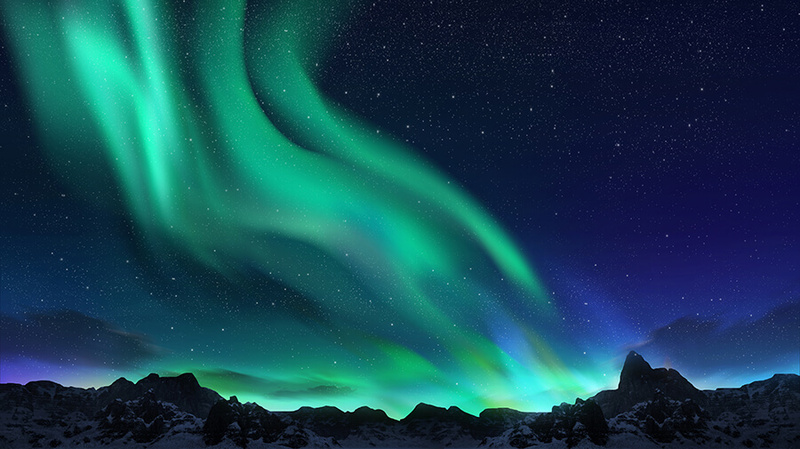 The Northern lights or Aurora Borealis, is an astronomical phenomenon that creates bright and colorful light-displays of mostly green, and sometimes red, yellow, blue and purple shades in the sky. These colorful, flickering lights dancing above you always seem to leave you spellbound. It’s extremely easy to lose track of time mesmerizing over the beauty and magic of the Northern Lights shimmering vividly across the night sky. Aurora Borealis is very depended upon the weather and to be lucky enough to see them we rely on darkness and mostly clear skies. Therefore, sightings cannot be guaranteed. We reserve the right to cancel these tours at any time. If we do cancel and/or you go on the tour and sightings do not occur – depending on availability – we offer you to go on another tour for free. Warm clothing – we always recommend participants dress appropriately and for the weather in Iceland, too warm is better than too cold.